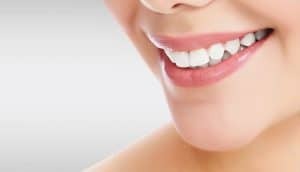 Teeth whitening is becoming an increasingly popular, none invasive cosmetic treatment for patients who want to improve on the whiteness of their teeth. At Sydney Dental Crowns we provide excellent whitening treatment at an affordable price. At Sydney Dental Crowns we offer both in chair whitening and take home whitening. Our in chair whitening is estimated from $249 and our take home whitening kits with custom trays are only an additional $100 when purchased together with any of our In-Chair Whitening procedures. How many visits will I need for my whitening treatment? Our in chair whitening treatment only requires one visit. We would all like whiter teeth, however there is a healthy limitation to how white your teeth can become. This treatment can be repeated up to 2-3 times depending on how white you would like for your teeth. 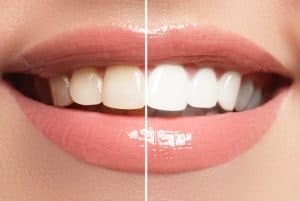 What kind of Whitening system do you offer? We offer the latest cosmetic dental teeth whitening system: SDI is proud to present their 100% Australian made whitening system PolaOffice 2. This treatment is effective in providing a whitening effect without excessive dehydration (drying-out of the surface of teeth). It takes around 9 minutes to get to Sydney Dental Crowns coming from Kings Cross Station. Head south on Victoria St toward Brougham Ln and turn left onto Darlinghurst Rd. Turn right onto Bayswater Rd and go right onto Ward Ave then another right onto Craigend St. Continue onto William St and turn right onto College St then continue onto Prince Albert Rd. After 120 metres, use the right 2 lanes to turn right onto Macquarie St. Turn left onto Hunter St and finally after 350 metres, go left onto Pitt St where you'll find us on the left side.